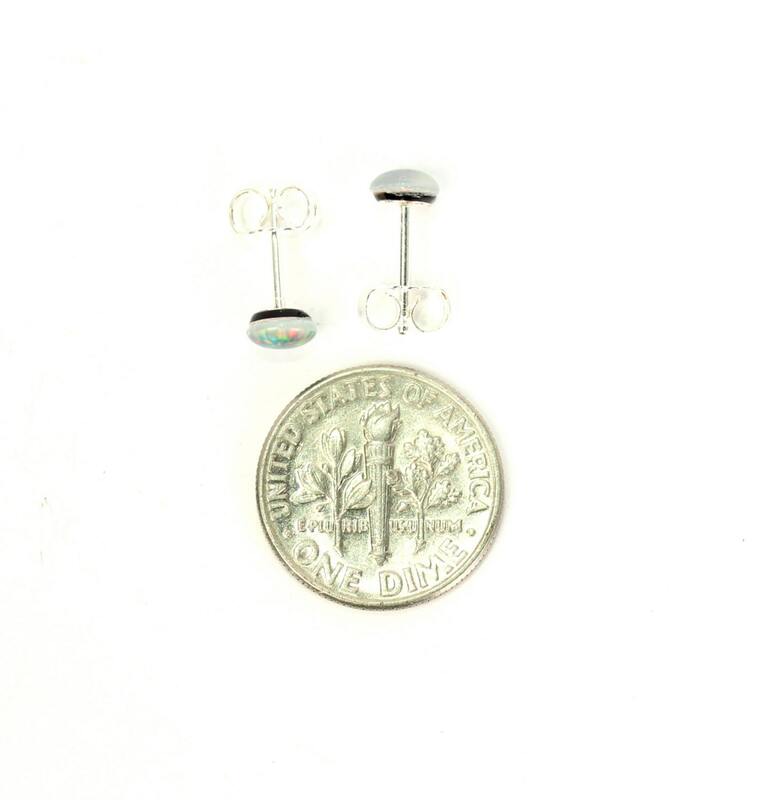 A classy pair of genuine opal cabochons set onto sterling silver posts and butterfly backings. Please choose you favorite pair as shown in the third photo. 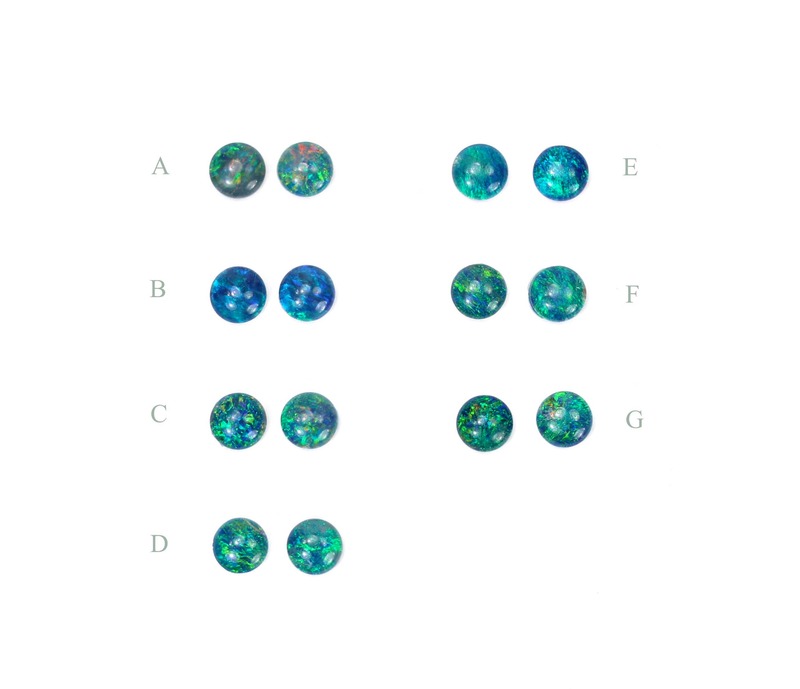 These gems measure 5mm. 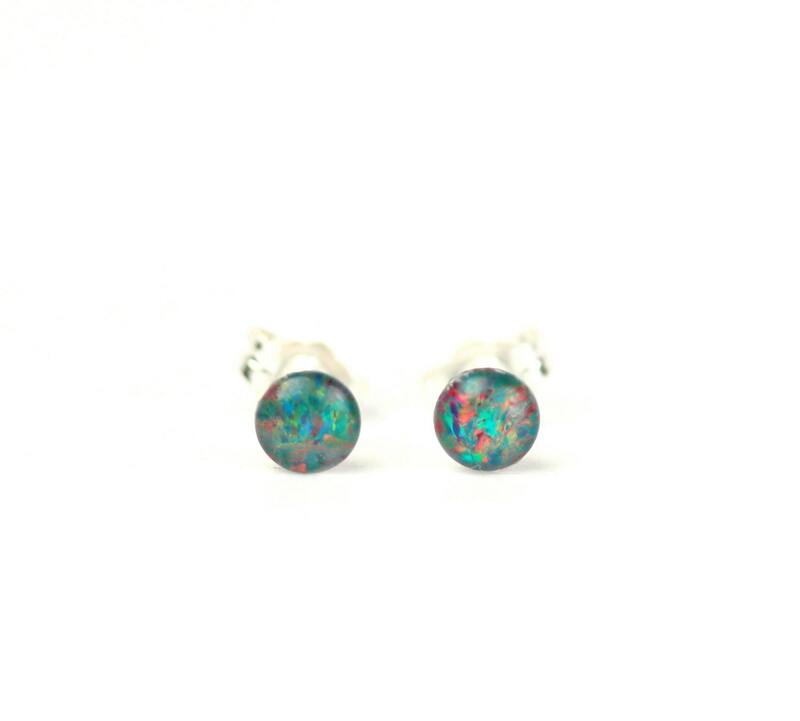 Opal is an emotional stone and reflects the mood of the wearer. It intensifies emotions and releases inhibitions. Encourages both freedom and independence. Opal enhances cosmic consciousness and induces psychic and mystical visions. It stimulates originality and creativity. Helps to release anger and claim self-worth, aiding in accessing and expressing one’s true self. Opal strengthens memory. It encourages an interest in the arts. 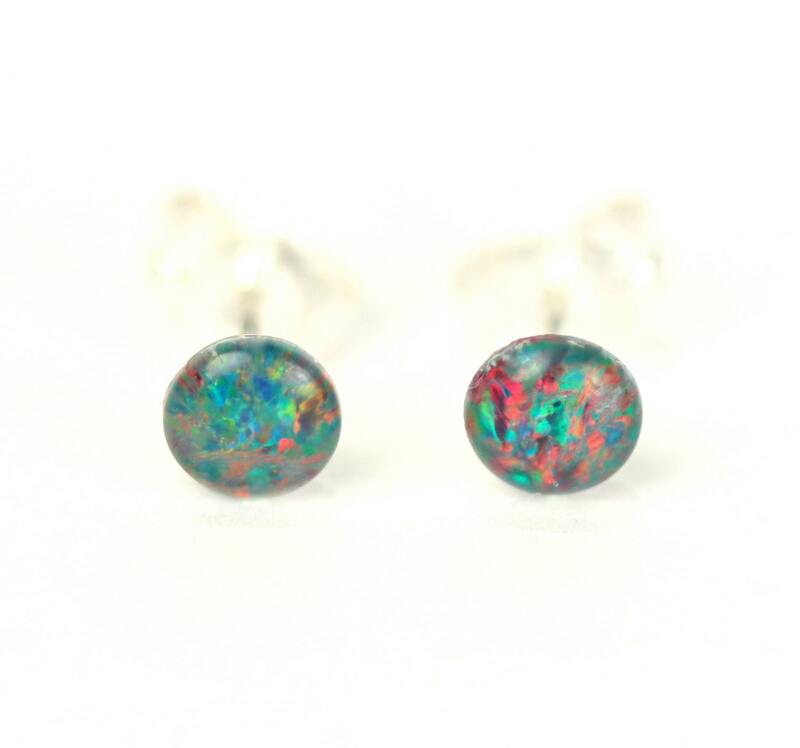 Wearing Opal brings loyalty, faithfulness and spontaneity.